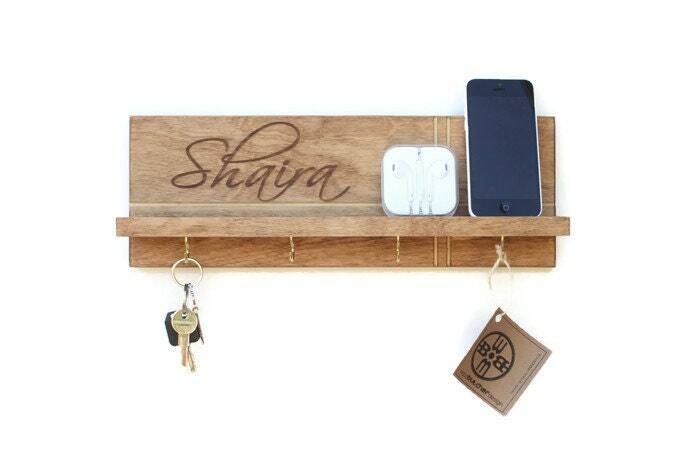 Our handcrafted personalized key rack features a 2-inch deep floating shelf for storing phones, outgoing mail, tech accessories or other items necessary organized living. 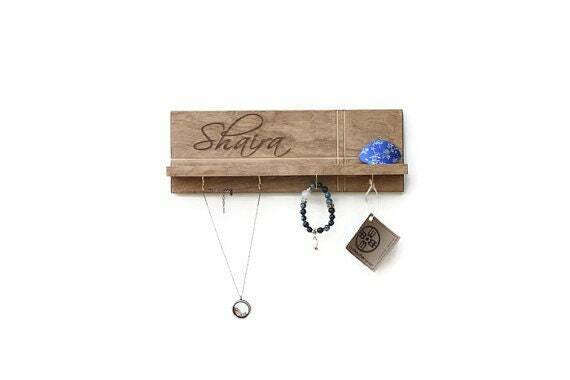 The item also works great as a jewelry holder for hanging necklaces, watches, bracelets and storing/displaying perfumes or other small trinkets. • Color: Choose from either Early American stain or Natural wood stain (please see drop down box). The grooves are left the natural wood color, and the entire item is finished with a modern matte clear coat. 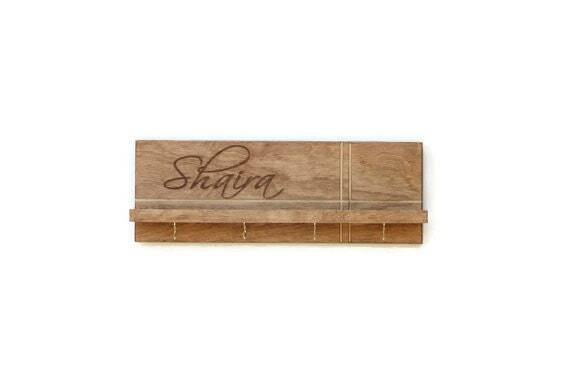 • When ordering, please indicate the name you would like engraved in the "note to seller" section. • We will send a digital proof for your approval prior to engraving. 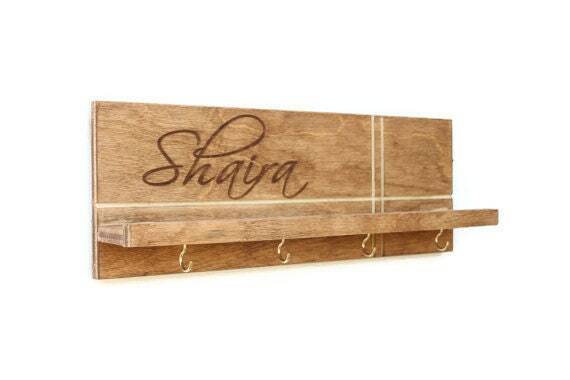 • Your personalized key rack ships via USPS 7-10 days following receipt of payment.